It’s no secret that corporations are not fans of regulations. They seek places with lax laws, lobby against government control, and ‘capture’ regulators through campaign donations. Beyond formal regulations, though, corporations face ‘informal regulation’: Civil society activism can impose costs through destruction of equipment, expensive court cases, or damage to corporate reputations. Recently, corporations have adopted discourses of ‘corporate social responsibility’ (CSR), which involves acquiring a ‘social license to operate’ by demonstrating community ‘acceptance’ of a project. Studies have shown that the strategies corporations use in attempting to achieve ‘community consent’ – or to capture informal regulation – vary according to political and economic contexts. I argue that social and cultural factors matter too. I studied corporate strategies for addressing resistance in New Caledonia, a South Pacific archipelago and biodiversity ‘hotspot’. I examined the rise and fall of indigenous Kanak protest targeting a mining project run by the multinational Vale. 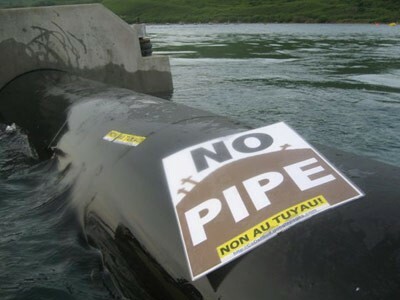 Beginning in 2002 the protest group, called Rhéébù Nùù, expressed concerns about the project’s environmental impacts by lobbying politicians, taking the company to court, and destroying millions of dollars’ worth of equipment. In 2006, they began discussions with company representatives, but for two years no agreement was reached. Cultural context played a crucial role. Rhéébù Nùù leaders, from clans low on the social hierarchy, had no customary right to decide land matters. Therefore, they claimed – successfully, at first – to represent customary authorities. By 2006, however, that relationship was eroding, partly due to the elders’ discomfort with the group’s increasingly violent tactics, and the customary authorities’ interest in jobs for local youth, despite a dearth of training programs and ongoing environmental concerns. In early 2008, Vale introduced a new negotiator. He realized the company needed to capture not the protestors, which wasn’t working, but their customary legitimacy. It needed to engage not the entire community, as many women and youth sympathised with the protestors, but just the customary authorities. The negotiator portrayed this strategy as ‘culturally sensitive’. By bringing customary authorities to the negotiating table, Vale silenced Rhéébù Nùù. In September 2008, all three groups signed a ‘Pact’: Vale pledged relatively small benefits, without addressing concerns about local employment and environmental impacts; in return, Rhéébù Nùù pledged no more violence. This study illustrates the capture of cultural ideologies – here, customary legitimacy – in corporate attempts to avoid informal regulation (what I call ‘culturally articulated neoliberalisation’). In places like the U.S., something similar occurs when corporations oppose constraints by conjuring up Americans’ obsession with ‘freedom’. In observing grassroots resistance, such as to the Keystone XL pipeline, we might consider whether and how corporations are referencing cultural ideologies in pushing their agendas. Cultures, though, are constantly evolving. Kanak women, youth and low-status clans, like marginalized groups in the global North, increasingly find opportunities within local politico-economic structures. From these higher social positions, they are better placed to pressure companies. Meanwhile, corporations’ national and international socio-cultural contexts are evolving too, as civil society grows more aware and less tolerant of the negative outcomes of corporate greed. About the author: Dr Leah Horowitz is an Associate Professor of Geography at Hawai’i Pacific University. This entry was posted in Transactions of the Institute of British Geographers on May 2, 2014 by RGS-IBG Managing Editor: Academic Publications.